In this exciting and beautiful spiritual evocation of Iona, we find inspiring photography, brand new poems, tales recounting legends, local stories and Celtic passages from Adamnan - but there is much more to this wonderful book than a simple description of its elements can capture. It is a work of poetic, spiritual beauty. 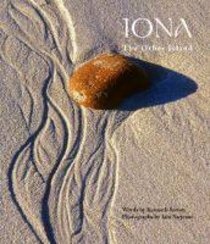 Evoking the intricacies of the island's spiritual web, the book finds half-explored coves and caves, explores the names of certain seldom-visited glens and headlands and tells people who thought they knew everything about Iona things of which they had no knowledge. Kenneth Steven, of Perthshire, Scotland, is a widely published poet, novelist and children's author.